Quote: "Shortly after officials left the scene, Jansen said, a fire ignited at the Moses's house. The source of the fire is unknown but investigators say there is a 'significant' amount of damage." Quote: "While the son was talking to investigators at the house, a fire ignited inside." Quote: "Not only do we have disastrous fires destroying ancient rainforests but we have flood. Notice how the fires (and their consequences) are underplayed..."
Quote: "The incident marks the second time in four months that vehicles have been damaged by fire at the auto auction, which houses thousands of cars. Manna said the earlier blaze had been ruled accidental." Quote: "In 2013, Missouri Department of Natural Resources conducted air tests and found that the fire was indeed letting off harmful gases. The air testing showed increased levels of benzene, a known carcinogen, and hydrogen sulfide, a neurotoxin. A resident of Spanish Village said she has been 'sheltering' in her home for more than five years." Quote: "There were about six of us just standing near the park when we saw it. The plane was already on fire as it came down and hit a street light pole." Quote: "Eyewitnesses said they saw a plane on fire, diving into the sea." Quote: "Police in Northglenn are trying to determine how a man was injured in a fire while sitting on his tractor. The police department said in an email that authorities were called to a parking lot on Thursday after a witness saw the man and rushed to his aid. The witness grabbed a fire extinguisher from his truck and smothered the flames." Quote: "Japan's Sakurajima volcano, situated about 50km from the Sendai nuclear station, has erupted with the country's meteorological agency issuing an orange warning not to approach it." Quote: "Rescuers on Sunday found signs of live within the remains of a high-rise residential building that collapsed in a powerful, shallow earthquake in southern Taiwan that killed at least 18 people and injured hundreds." Quote: "There is something in the air in the Dunedin suburb of Tainui – and that is the smell of rotten eggs. Chris Henderson, Dunedin City Council's wastewater treatment manager, said the smell was possibly caused by the plant's biofilters being waterlogged during recent rain weather." Quote: "The Public Health Department is reportedly keeping a close watch on the Sandy Bank Primary School in St Elizabeth following the outbreak of an unknown illness at the institution. Floyd Green, the Jamaica Labour Party caretaker for the South West St Elizabeth, in which the school falls, has claimed that more than 100 students came down with a mysterious flu like illness recently." Quote: "Seven people were evacuated from townhouses in Charlestown for about four hours Saturday morning after officials discovered a carbon monoxide leak caused by an underground electrical fire, Fire Department spokesman Steve MacDonald said." Quote: "A huge blaze engulfed a 700-tonne scrap metal heap at a recycling plant in Birmingham. The fire, on Aston Church Road in Nechells, was reported at about 17:20 GMT on Saturday." Quote: "Residents of Saket Apartment near GST Crossing in Ranip had a rude awakening at 2 am on Saturday as flames shot up from the basement of block D, and the air grew heavy with smoke and soot. The residents rushed out to find that more than 40 vehicles in the basement parking lot had caught fire, and the fuel tanks of one vehicle after the other began exploding. The flames reached the fourth floor and the inferno claimed two lives -Leena Shah 60, and her son Shreyas, 28 -resi dents of the third floor. Four others sustained burns in the incident and were hospitalized while others were treated at the spot." Quote: "A plane made an emergency landing at Tucson International Airport Sunday morning, after smoke filled the cockpit and cabin, according to authorities. Tucson Airport spokesperson Jessie Butler said United flight 6517 took off from Tucson to Los Angeles at 6 a.m. with 77 passengers on board. While in the air, the plane filled with smoke, causing the pilot to turn around back to Tucson for an emergency landing, said Butler. 'Everybody was screaming, totally terrified,' said Jessica Scott, who was on the plane. Butler said the smoke was coming from the cockpit. There was no fire, but passengers said the smoke made it hard to breathe." Quote: "Health officials are now raising questions about what caused the bleeding, which they acknowledge is inconsistent with the very few health studies that exist on mercaptans. A better-documented and more hazardous compound found in natural gas ­— hydrogen sulfide — could explain some of the symptoms, independent experts say. And emerging science shows this dangerous chemical compound could be more abundant than originally thought." Quote: "These are 'classic symptoms' of exposure to hydrogen sulfide, a well-documented toxic compound, said Michael Jerrett, professor and chairman of the UCLA Department of Environmental Health Sciences. 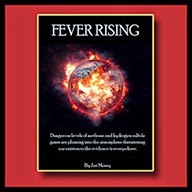 More serious effects of hydrogen sulfide range from fluid in the lungs to respiratory distress and irregular heartbeat." Note: Say, that's exactly what I've been saying for the last four months, since this gas leak started and people started reporting widespread rotten egg odor and nosebleeds. And hey, don't forget the other serious effects, like brain damage, kidney damage, unconsciousness, strokes, heart attacks, coma and death! Note: Probably just some poison gas, nothing to worry about, move along! Quote: "Experts say 2015 saw a record-setting 98 unprovoked shark attacks worldwide, including 30 in Florida alone. The Florida Museum of Natural History released the numbers Monday. Scientists say the previous record was 88 attacks in 2000." Quote: "We got the call at 6.30am about a large explosion but could not sound the siren because we had no power but our pagers still worked. There was a lot of black smoke when we arrived at the substation but we were powerless to do anything until Otagonet arrived to isolate the power." Quote: "Initially, Jefferson City Fire Department crews were dispatched to meet the train, which was headed east and believed to be in the Militia Drive area. However, a few minutes later, updated information to the center changed the location of the train to Osage County Road 416, which is near the Osage River access in Bonnots Mill. Law enforcement officials who arrived on the scene said the coal train was approximately 1 mile long. The fire occurred in the engine at the end of the train, sometimes known as the pusher engine. No one was inside." Quote: "A neighbour who witnessed the crash, Slamet, told MetroTV that the plane appeared to be nose-diving out of control with smoke billowing from its tail when it crashed." Quote: "An Indonesian air force plane crashed into a house on the main island of Java on Wednesday, killing both people on board and two people in the house, a senior official said." Quote: "Lt. Jody Crocker of Ashwaubenon Public Safety says a passenger had a seizure, but is OK."
Quote: "Debris from a crashed plane can be seen on a hillside near Lake Success in Tulare County on Wednesday, Feb. 10." Quote: "It’s not clear whether the plane was ablaze in the air, or crashed or landed and began burning, emergency medical services officials say." Quote: "According to the Michigan National Guard, there are no planes fast enough and based in Michigan that can create a sonic boom." Quote: "When crews arrived, they noticed a large pile of debris on fire, which consisted of scrap metal." Quote: "It is unclear how the fire started as the chipper -- the size of a semi-trailer and worth about $200,000 -- had not been used since about 1 p.m., Deaver said. No workers were at the plant when the fire broke out, the fire chief said." Quote: "Melissa Perez, a spokeswoman for the U.S. Fish and Wildlife Service, said the few homes in the area are west of the fire, which is burning toward the northeast through an uninhabited marsh area." Quote: "The golf cart building had 74 battery-powered carts in it, he said, while the maintenance shed had seven or eight mowers, weed whackers, other power tools, fuel and more." Quote: "The land, just east of Canal Road, had once been a storage yard, he said. The property contained old equipment, scrap vehicles and tires." Quote: "Sullivan said the Gulfport Fire Department and Mississippi State Forestry Commission also helped extinguish the blaze." 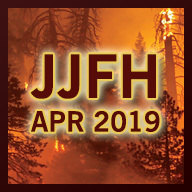 Quote: "Mountain Communities – Two car fires — one on Highway 18 near Panorama Point and another on Highway 138 in the Crestline Cutoff area — caused traffic delays on both roadways." Quote: "An 88-story tower still under construction in Kazakhstan’s capital, Astana, was engulfed in a massive blaze early on Saturday. Amateur footage showed the high-rise, dubbed Abu Dhabi Plaza, lit up like an enormous torch." Quote: "Abu Dhabi Plaza has been under construction since 2010 and was planned to be completed in 2016. With its tower of over 380 meters, Abu Dhabi Plaza was supposed to become the highest building in Kazakhstan and Central Asia." Quote: "The cause of the fire is unknown at this time, and there were no injuries reported. Parish officials initially told WDSU the cause was believed to be a marsh fire." Quote: "A massive fire started in fresh locations inside the Deonar dumping ground on Sunday, creating panic among civic officials who were busy with the Make in India programme." Quote: "Apart from the three spots in the Deonar dump, firemen were also grappling with a massive fire in a 5-acre near the Vashi creek late in the evening." Quote: "A major fire engulfed the stage of the cultural extravaganza of the Make in India week event at the historic Girgaum Chowpatty off Marine Drive in south Mumbai on Sunday evening." Quote: "A fire broke out on Saturday in Kyauk Kar village in Tenasserim Division’s Palaw Township, destroying 331 homes, according to a rescue official. Sources report that houses in the island village, located about two hours by boat from Palaw Township, were ablaze for approximately five hours." Quote: "The blaze now covers more than 4,000 acres of marshland and woods in Mississippi and Alabama." Quote: "Dmitry Bogdanov, 26, Oksana's son, said: 'I went out to the street, and almost lost consciousness. I called the ambulance, and they brought me to hospital.' The diagnosis was - acute toxic poisoning." Quote: "Another resident nearby Olga Voitishenko, 37, a mother of one, said: 'We are afraid that one day we will go to bed and never wake up. I fear for my child.' She invited inspectors from Rospotrebnadzor, in charge of protecting consumer rights in Russia. They could would not identify the gas but said it was 60 times over allowable levels." Quote: "Krasnoyarsk's skies have been black since the start of the New Year, with locals complaining of 'chemical smell', lack of oxygen." Quote: "An Australian man captured photos of flames on the surface of the Condamine River, which has experienced mysterious methane bubbling for nearly four years. Jon Jenkyn posted photos to Facebook showing the Condamine River's surface on fire near Chinchilla, where methane first started bubbling to the surface in 2012." Quote: "A plane’s engine caught fire Monday night at the Orlando International Airport, the airport said. Silver Airlines Flight 70 was parked [at] a gate when someone saw flames coming from the engine shortly after 8 p.m., said Carolyn Fennell, an airport spokeswoman." Quote: "An Alaska Airlines flight was diverted to Dulles International Airport this morning, just 16 minutes after taking off from nearby Reagan National Airport, due to smoke in the cockpit, the airline confirmed to ABC News." Quote: "One straphanger on board told us that smoke filled her car, and that she heard a loud 'boom.'" Quote: "Denver Fire told Denver7 the large fire was caused by trash and metal shopping carts burning outside the Denver Metal recycling center." Quote: "Upon arrival, fire crews found a 'vehicle on fire in an underground garage,' said Los Angeles County Fire Department Dispatch Supervisor Miguel Roneles. The blaze then spread to a unit above the garage..."
Quote: "The pole barn that burned is used to park recycling trucks, Garrison said. Seven of those vehicles and a forklift were inside when the fire started, he said. The trucks were empty, he added." Quote: "The owner of Joe's Towing & Salvage says while the building was a huge loss, he's thankful no one was injured in the fire. He says he'll have a hard time replacing two classic cars he was restoring that were inside." Quote: "Officials also say there were many unknown explosions. A car was located under the car port and even a motorcycle in the living room." Quote: "Those tests found nothing amiss, state documents show. But they did not check for hydrogen sulfide gas, which can cause nausea, airway problems and other issues during prolonged exposure, according to the U.S. Department of Labor. State health inspectors, in a later test, found concentrations of that gas, as well as carbon monoxide in the air." Quote: "Part of the landfill is undergoing construction and manager Jim Becker says an outside consultant advised them to mix the construction and demolition debris with household waste as a more affordable approach and it's that combination, he says, that is creating a hydrogen sulfide emission, or rotten egg smell." Quote: "The World Health Organization website says that 'there are no studies on effects of long-term exposure to hydrogen sulfide in animals.'" Quote: "Bennett said that the lack of data about long-term low dose exposure in humans is also concerning." Quote: "According to City of Miami Fire, four students were transported to the hospital to be treated for nausea and vomiting, Thursday, just before noon. The school is located at 1850 N.W. 32nd St. in Miami. The students were between the ages of 9 to 11. It remains unknown what made them sick." Note: Hydrogen sulfide is also water-soluble, so swimming around in poison water isn't apt to be too conducive to living a long life. It's also bubbling up from the ocean floors, which is why so many deep-diving or bottom-dwelling ocean creatures have been dying in recent years. Numerous divers, including a world-class free-diver, have died mysteriously in the water, and numerous people have collapsed dead after contact with water or while just being NEAR water. And since hydrogen sulfide doesn't stick around in the body, nobody is likely to find that as a cause, although a smart ME in Kansas City did figure out that a woman was gassed to death in her home by hydrogen sulfide, but he probably did the autopsy quickly after she was dead, within a few hours, before the hydrogen sulfide had degraded entirely. Mostly it's killing people and they just call it 'Sudden Adult Death Sydrome' or 'untimely death' or 'unexplained' or whatever. In any case, the best way to tell if water is contaminated is by touching it or drinking it - if you don't die then it was safe! Quote: "Brevard Fire Rescue personnel are on the scene of a scrap-metal fire in an industrial area of Cidco Road in Cocoa." Quote: "A brush fire spread through a grassy area on the banks of the Delaware River in Gloucester County Friday night, moving close to a crude oil storage facility. The fire consumed at least 25 acres near Crown Point Road and 9th Street in Westville, New Jersey, county dispatchers said. It started around 9 p.m. Friday." Quote: "Klassen said the county has a Laughlin station that is working the fire, but the county is sending extra crews from Las Vegas to help as a precaution. Bullhead City is also sending crews to help, he said. 'We've had things like this before, but this is a pretty good size one from what I'm hearing,' he said. The energy company reports that 5,128 homes experienced the outage; the city's population is 7,323, according to a 2010 census." Quote: "The shop had eight cars inside, which suffered both heat and smoke damage. No one was injured and the building was unoccupied at the time of the fire." Quote: "When HFD arrived at the scene, they found five vehicles in the back yard driveway area that were all on fire along with the house. Firefighters made a fast attack and got the fire under control. There was no one home at the time, but the home owner showed up afterward." Quote: "A third vehicle in 24 hours started on fire in Gardner Friday afternoon." Quote: "Firefighters and police responded to two car fires overnight. Flames were coming from under the hood of a 2003 Dodge sedan at 2:26 a.m. Thursday on Quinby Street Extension near Ravine Place, police said. At 3:59 a.m., a 2004 Pontiac sedan was engulfed in fire when a cruiser arrived in the 200 block of Malleable Street, police said." Quote: "Mark Simms, the city’s utilities director, said the odor at the York lift station comes from hydrogen sulfide, a naturally occurring chemical in wastewaste that closely resembles rotten eggs." Quote: "Crews evacuated a popular restaurant in Greece today because of a potential carbon monoxide leak. It happened at the Olive Garden on Route 104 in Greece. Fire crews left the restaurant as they were trying to find the source of that carbon monoxide leak. Police say a manager at the Olive Garden called 911 after employees complained of a strange odor that made them feel sick. Nine of those employees were taken to the hospital for evaluation." Quote: "A well-known charter boat captain died Saturday after an explosion in his backyard left more than 75 percent of his body burned. Camden County Sheriff Tony Perry said Captain Jim Brincefield was hurt after an explosion at a burn barrel at his home Friday afternoon." Quote: "Disaster experts are keeping a close eye on a seismic hotspot after three large volcanoes began erupting with fears of a fourth in the offing. Volcano experts from the US, UK, Costa Rica and local geologists are observing activity at four active peaks in Nicaragua after the flurry of explosions." Quote: "Firefighters responded when a pickup truck caught fire at a Hempfield business Monday. The fire was reported around 4:30 p.m. and was under control in about 15 minutes, a Westmoreland County dispatcher said. The pickup was parked outside Adamsburg Auto Wreckers on Edna Road." Quote: "Several vehicles inside the warehouse were also charred. It’s not clear what started the fire." Quote: "The mother said she saw a glow outside around 2 a.m., went to the garage and saw the fire. The husband was able to get three of their vehicles out of the garage safely but one motorcycle was destroyed." Note: It's amazing watching people sleeping through what's happening, even as their own vehicles ignite and destroy their homes and businesses and sometimes kill them. Not sure how bad the pain's gotta be before people wake up, but whatever that level of pain is, we'll reach it. I'm not sure how many people will still be alive by then though. Time will tell! Quote: "An elementary school several hundreds yards away saw many of its windows shattered." Quote: "Witnesses report hearing huge explosion and buildings shaking..."
Quote: "At least 50 shops, godowns, hotels, bakery shops, textiles and other structures were completely gutted and goods worth corers of rupees reduced to ashes in a massive devastating fire that broke out from a bakery shop here in border town Uri of north Kashmir's Baramulla district." Quote: "According to Melissa Bujeda, Public Information Officer for the Sheriff's Office, said there were metals inside a parked trailer at the AAA Cooper Transportation center that combusted, causing an explosion Thursday night." Quote: "The crew was able to get a pumper out of the building to help control the fire until surrounding fire departments arrived, but most equipment and fire trucks inside have been damaged or destroyed." Quote: "The State Fire Marshal's Office determined a fire started in the engine area of one of the three ambulances being housed in the garage of the Sullivan County ambulance barn. The fire destroyed the building on Section Street in Sullivan. The three ambulances inside were also totaled." Quote: "A storage bunker at an industrial waste treatment plant exploded at the port of Antwerp in northern Belgium on Friday, sending up a dark cloud of smoke hundreds of metres high." Quote: "Three of the buses were completely engulfed in flames and destroyed, and two others were damaged. An employee at Durham School Services saw the buses on fire around 5 a.m. at a bus yard in the 200 block of West Park Avenue." Quote: "The 30-year-old raised her Tugboat brand e-cigarette to her lips, pressed the button and boom — the thing exploded in her mouth, knocking her teeth loose and flying from her hand. Disoriented and covered in blood and soot, she ran inside, shouting for her friends to call 911. By the time they went back outside to drive her to the hospital, Koziol's Hyundai rental car was fully engulfed in flames." Quote: "Flight MH2 was around an hour into the journey from Malaysia when a problem was detected in engine 1. There were also reports of a 'strange smell' coming from the cabin." Quote: "The riverside signs begin with the word 'DANGER' in red. When a sign’s salutation reads 'DANGER,' what follows is generally not very cheerful. And so it is along La Posta Road. 'Harmful levels of hydrogen sulfide are seeping from the ground,' the signs say. People and pets 'should avoid or quickly pass through any location in this vicinity where you smell a rotten egg odor.' Exposure could cause nausea, eye and lung irritation and headaches 'even with brief exposure,' the signs caution." Quote: "'We did some testing with monitoring equipment several years back, and the hydrogen sulfide from that location was so high it actually broke our sensors,' he said." Quote: "Carbon Monoxide Spikes to 27,000+ [ppb] Where 'Usual' is only around 150 [ppb] on West Coast - May Signal Coming MASSIVE Earthquake"
Quote: "The initial symptoms of low to moderate CO poisoning are similar to the flu (but without the fever). They include: Headache, Fatigue, Shortness of breath, Nausea, Dizziness..."
Quote: "A fire that started at about 3:30 a.m. destroyed about 50 boats and several structures at Dozier Yachting Center on Urbanna Creek in Urbanna on Monday, February 29, according to the U.S. Coast Guard. Police say two people who lived aboard boats in the marina have died."